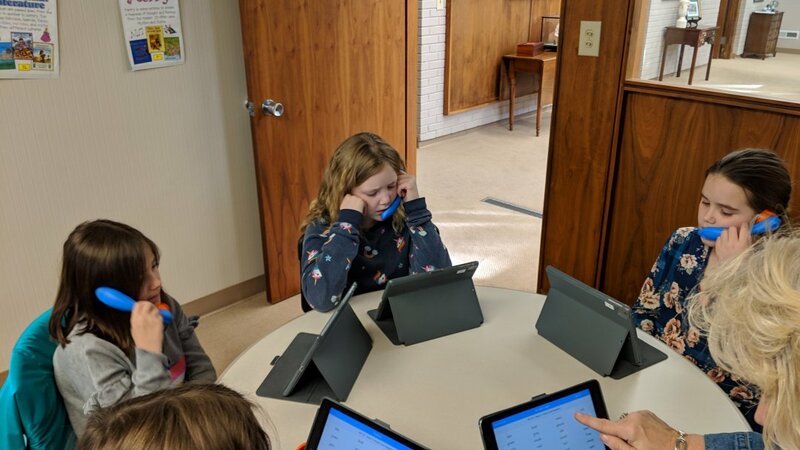 Note: This article, by EdNC staff, was originally published on February 26, 2019 on Education NC (EdNC – The Mebane Foundation leads Davie County Schools into the future) and is republished here with permission. Larry Colbourne, Mebane Foundation, listening and learning from the team at Book Harvest. 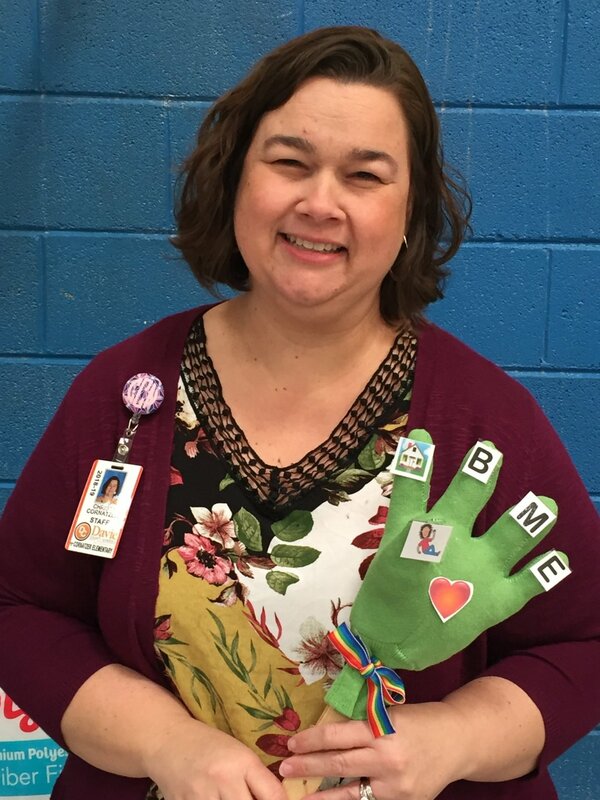 As part of the EdNC series on early-grade literacy, EdNC is focusing on what Davie County is doing to improve kindergarten readiness and reading for students by third grade. Part of the strategy Davie County Schools is using involves funding from the Mebane Foundation, which has launched a five-year, $2.5 million initiative called DavieLEADS. We’ll be talking a lot about DavieLEADS this week, but first, here’s a Q & A with Mebane Foundation President Larry Colbourne to kick things off. The interview has been edited for clarity. Q: Tell me a little bit about how the Mebane Foundation has been intervening in schools in Davie County historically. Q: How did that lead into DavieLEADS? Several of the bullet points were similar to initiatives the Foundation had worked on individually in the past. It made sense to combine them together and to propose a partnership with one school system. We were already in Davie County and had all of the resources and all of the connections, so we decided to try to make a go of it. I sat down with Dr. Hartness, the superintendent, and I said, “Dr. Hartness, do you think based on what we’re seeing here, we can move the needle in Davie County in the next five years?” And that’s how it all started that January. And then we met many, many times. It was called the Mebane roundtable and included senior leadership from the school system, top teachers in the area, and some folks with Smart Start and other groups. We came up with this plan and presented it to the board in April 2017. DavieLEADS was based around what we had seen in that business roundtable, “Why Reading Matters and What to do About It. And when I look at how we’re executing it, it really does match up with those six policy recommendations. Q: Give me a high-level view of what DavieLEADS is. A: When we got together in the Spring of 2017 we said, “What are the one or two most important things for getting kids ready and able to read after third grade?” The first thing, we all knew, was pre-K, and making sure that all children show up to kindergarten ready. Our first metric became kindergarten readiness scores. At that time we were at 70 percent ready. We decided push for 90 percent in a five year span. That became our first goal. We then decided to vertically align kindergarten readiness with third-grade EOG (End of Grade) scores. At that time, Davie County was at 60 percent reading proficiency and the best district in the state was at 80 percent. Our second goal became increasing reading proficiency from 60 percent to 80 percent by 2022, which would put Davie County at number one in the state based on that year’s numbers. Those were the two metrics we decided to use. In the past, we’ve started with kids in kindergarten and tried to have them reading by the third grade. This time we decided to go deeper, back to the pre-K world, which is a huge part of this project. Q: How is the funding used with DavieLEADS? A: A lot of the funding has been for professional development to help the teachers. We brought in two consultants and hired two K-3 literacy coaches. It’s their role for the next five years to ensure the fidelity of the program that we’re trying to implement in the six elementary schools. We also hired a pre-K teacher coach to help vertically align what all the pre-K’s are doing, not just the ones in the school system but also the private facilities. When the children show up for kindergarten, we want them to have all had access to the same things taught in a school-based NC Pre-K program. 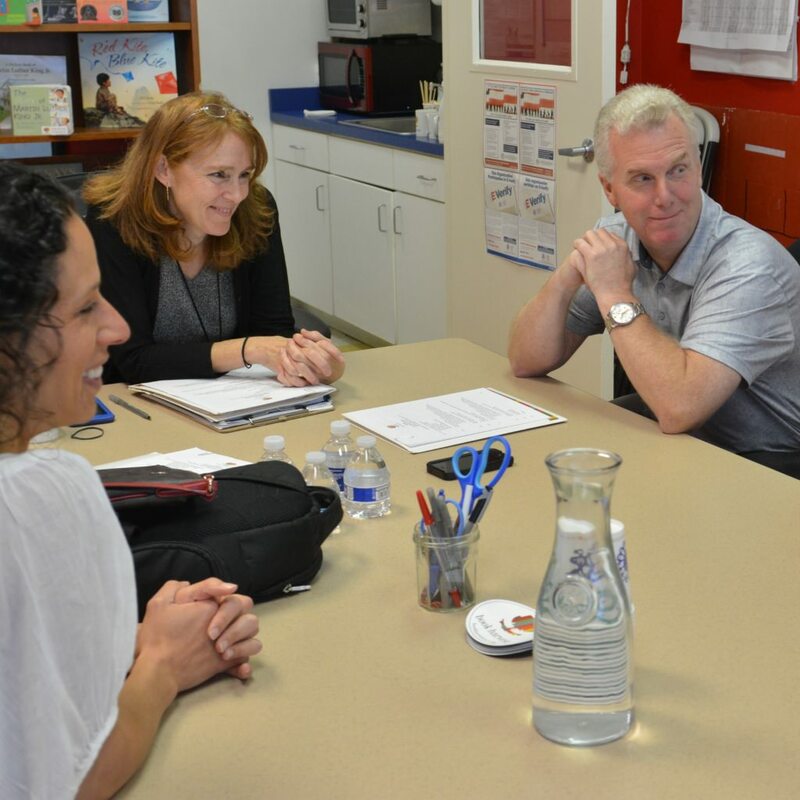 The consultants also worked with the leadership and teachers at each school to build PLCs (Professional Learning Communities) that provide teachers the opportunity to meet on a weekly basis to discuss how things are going and to ensure that the program is being implemented with fidelity. Q: How do you feel it is going so far? A: I try not to get too caught up in the results, but the first year’s results were phenomenal! Davie County Schools went from 45th to 17th in the state in 3rd grade reading proficiency. We’ve seen a 4 percent increase in our EOGs, and a 10 percent increase in kindergarten readiness scores, but more importantly, and what really makes me happy, is to listen to teachers talk and know that there has been a cultural shift. So I think it’s going great. All that being said, who knows? I have no idea what the new cohort coming through this year looks like. I’ve learned over time that cohorts are often very different and last year’s might have been an “A” team coming through. But what I’ve seen in the way the teachers, the leadership, and the community has rallied around this initiative, is the best I’ve seen since I’ve been here. We’ve tried many partnerships with large dollar amounts and large initiatives, but this thing right now is as good as it gets. Q: How do you make this sustainable after the money from the Mebane Foundation is gone? Deep down, that’s still what we want to do. Basically, the budget comes down to about $400,000 a year in year five. From my perspective, I don’t think we will be able to live by that model where we pull out totally. If 2022 rolls around and we’ve moved the needle by like 15 points over a five-year period, I would hope the local municipality in Davie County would say, “Okay that’s huge. We need to go ahead and pony up a little as well,” but we haven’t had those conversations yet. As the Mebane Foundation, I would say, listen, we’re not going to back away. Let’s look at what it would cost the state. Maybe we can split the difference. We know if we’re going to sustain, the school system is going to need additional money, and in this environment, it’s difficult to find those funds. Although we’re not going to walk away totally, we would hope in good faith, whether it’s Davie County or anywhere else we’d partner with, that once leadership at the county level sees these types of gains, they would jump in and say we’ll pay some here. For two hours on a Monday afternoon, the Central Davie gym resembled a workshop. Seated at long tables, teachers were talking and laughing while cutting word strips, sorting and bagging colored squares, and taping the edges of shower board to create small whiteboards. 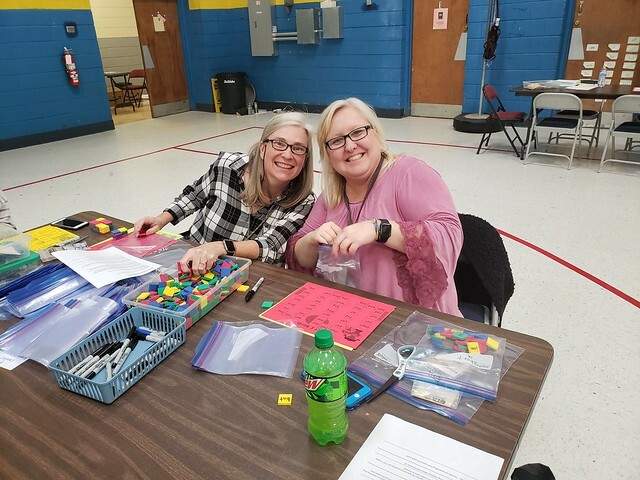 The teachers were attending one of three “make and take” sessions organized by Davie County Schools to support its elementary school teachers and to provide them with valuable tools to assist with this year’s DavieLEADS focus on guided reading. DavieLEADS (Literacy Empowers All in Davie to Succeed) was created in 2017 through a $2.5 million grant from the Mebane Foundation to support a five-year early literacy initiative aimed at improving kindergarten readiness and increasing the percentage of students reading proficiently by the end of third grade. 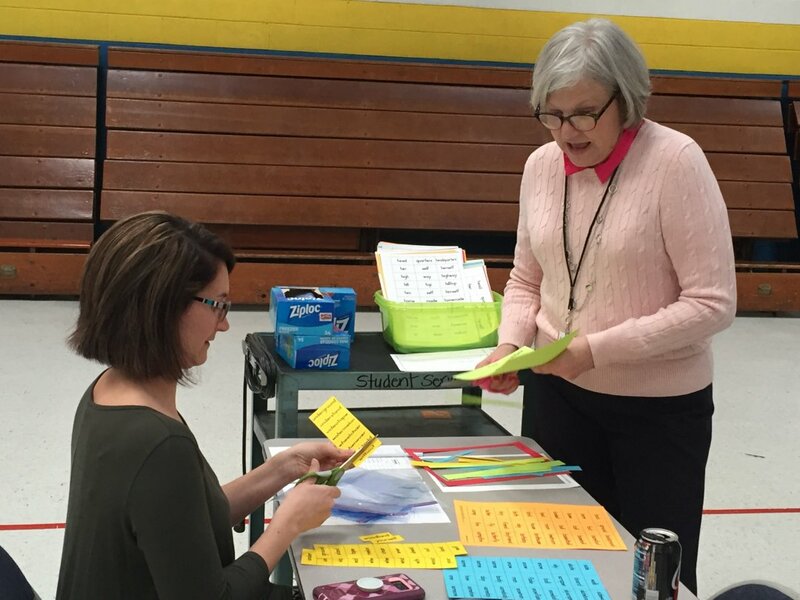 Through the Mebane initiative, teachers in Davie County are being trained in a researched-based, guided reading framework that focuses on intentional and intensive small-group reading instruction. During guided reading, the teacher works with a small group of students who demonstrate similar reading behaviors and can read similar levels of texts. 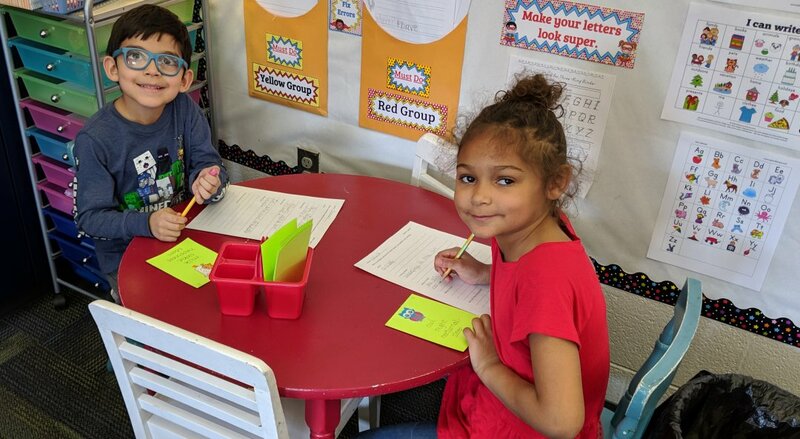 The other students in the class work on literacy activities independently or in pairs while they wait for their turn to work with their teacher. High quality, hands-on activities fuel literacy development while keeping students engaged so that teachers can focus uninterrupted on reading with their small groups. 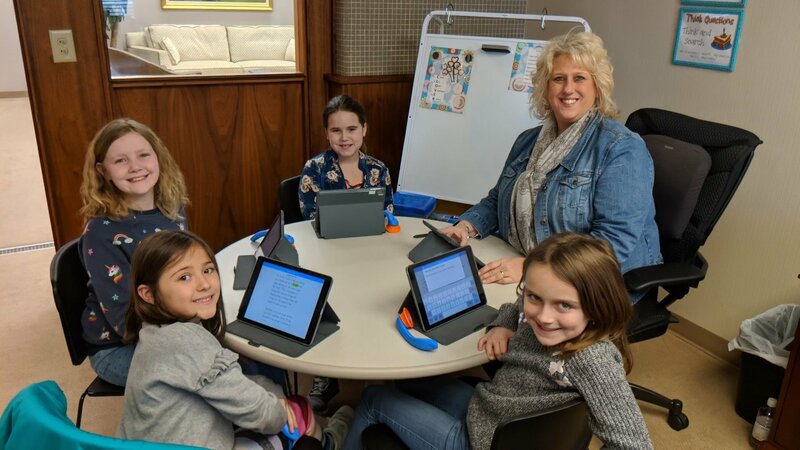 Grant funds were used to cover the cost of the supplies, and DavieLEADS Consultants Barbie Brown and Nancy Scoggin and Literacy Coaches Renee Hennings-Gonzalez and Amy Spade created and assembled six to eight activities specifically for each grade level. There were separate sessions for kindergarten and first grade, and second and third grades were combined. Jinda Haynes, assistant superintendent for Davie County Schools, said the idea to host the make and take sessions came from discussions she and Jennifer Lynde, director of curriculum and instruction, had with teachers about the challenges they were experiencing with guided reading and the resources they needed. 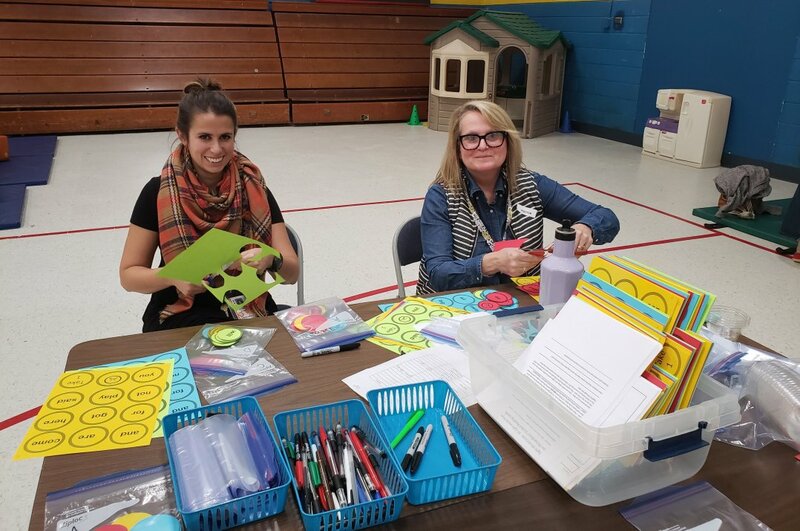 At each station, teachers were able to make something to use at their guided reading table or something their students could use at their literacy stations. 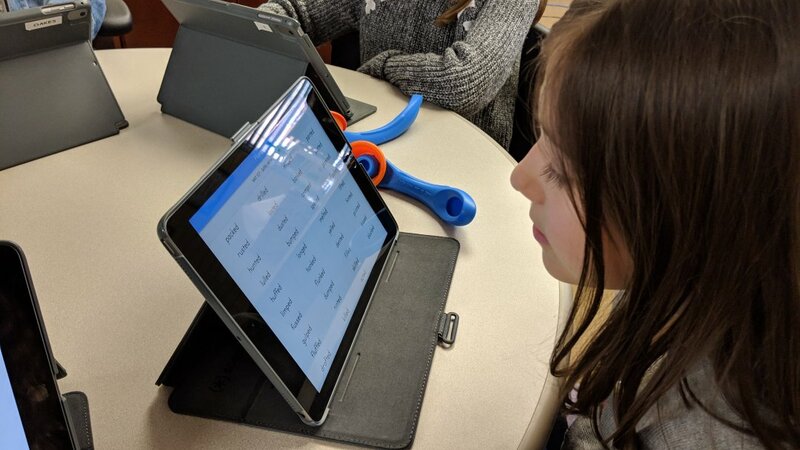 “For every station we’ve assembled, we’ve tried to find things that would be appropriate for maintaining a level of independence for the kids so that the teacher can focus on what she is doing,” said Hennings-Gonzalez. 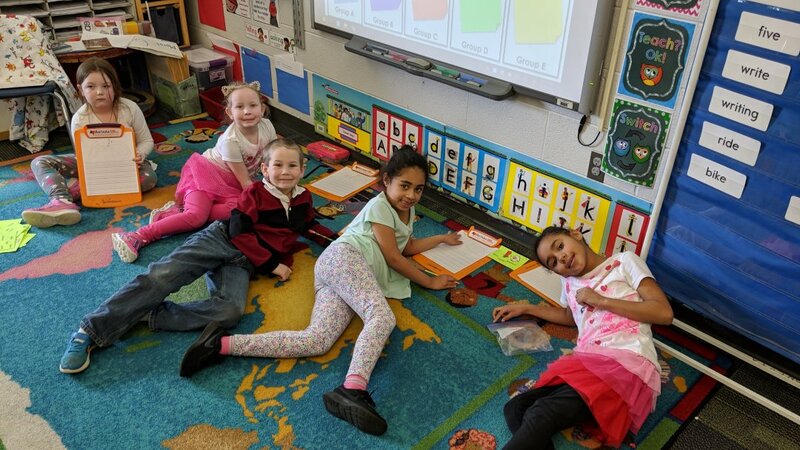 One station had word sheets and cookie sheets that students could use with magnetic letters to practice making words, digraphs, and blends, while others offered phonics activities and games to practice sight words. Teachers prepped “sticker stories” and “squiggle stories” where students write about the character on the sticker using vocabulary words printed on the card or turn a squiggle into an illustration and write about it. A favorite station was the “retell hand” station. Teachers began by stuffing a garden glove and attaching a paint stick to it. Then they hot-glued storytelling clues to each of the fingers — characters, setting, beginning, middle, end, and the heart of the story in the palm. Students can use the hand to help them retell stories. 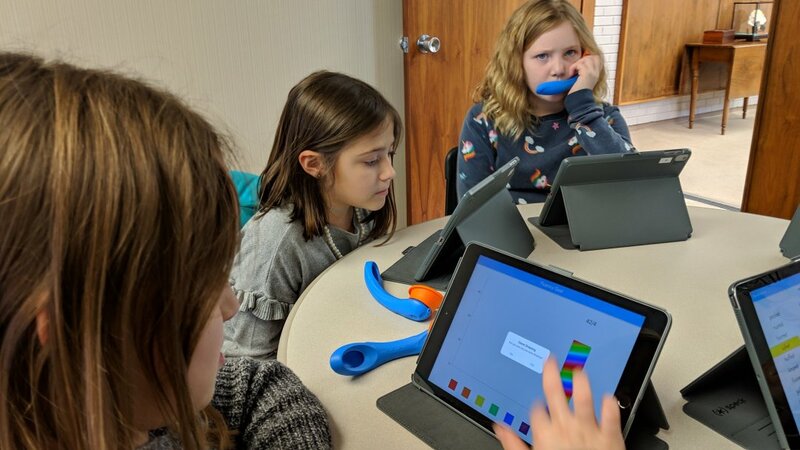 To maximize the budget as well as the value of the make and take tools, each activity was designed to be used in multiple ways over an extended period of time. The activities are also being uploaded to a website so that teachers can share other ideas they come up with for using the materials. Sixty-three teachers attended a make and take session and they were glad they did.